Trainer Harry Fry has stated that his old boy Unowhatimeanharry is back amongst the best in the Stayers Division, and can have a major say in the outcome of the Long Walk Hurdle at Ascot on Saturday. Fry already has duo If The Cap Fits - who also holds an entry at Kempton on Boxing Day, and Momella in Saturday's field. With Harry reasserting himself with a victory at Newbury in a Grade 2 recently and therefore re-pitching his credentials for Saturday's feature, Fry looks to have many cards to play with. (Credit: Racing Post) He said: "Harry is due to run, all being well. "We've been much happier with him this autumn and he made a nice comeback at Aintree over a trip which was too sharp for him. He was doing his best work at the end and progressed nicely coming out of that race. "I was delighted to get him back in the winners' enclosure at Newbury, having looked last year as though maybe his light was fading," he said. 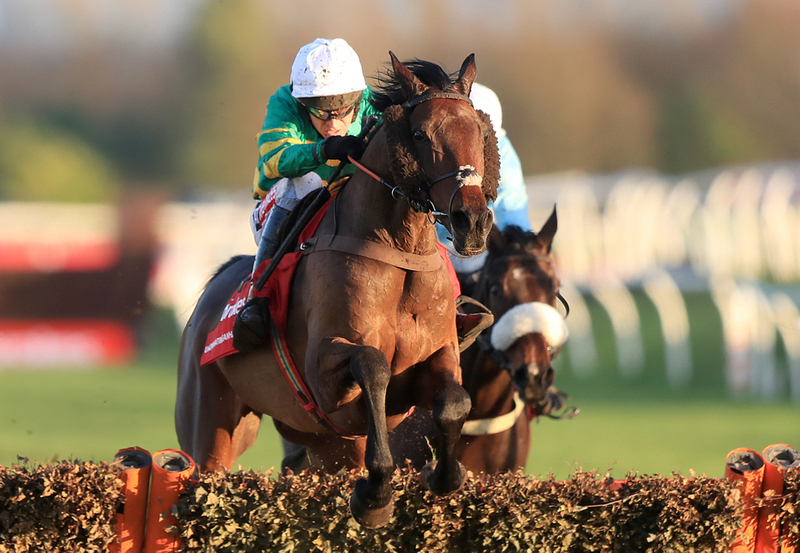 Owned by the famous green and gold hoops of JP McManus, Unowhatimeanharry will turn eleven next week. Despite almost always being the first off the bridle, Fry's popular stayer - who won this race back in 2016, never seems to give in, and possibly just requires his jockeys urgings to remind him of the job at hand. As mentioned, Fry has two other possibilities, who both hold other entries in other places over the festive period. (Credit: Racing Post) Fry said: "We'll make a decision through the week with Momella, because there’s an option to run her in the Mares' handicap the day after Boxing Day at Kempton. "We’re slightly in no man’s land after she capsized two out at Newbury which was a bit too early to know what would have happened. We've left her in the race to keep our options open. "We've also given ourselves the option of Saturday for If The Cap Fits but no decision has been made as to whether he runs there or in the Christmas Hurdle on Boxing Day." The latter was an impressive winner over 2m3f at Ascot last month, and would have to drop in trip to head down the Champion Hurdle route. He would stand toe-to-toe with the dual winner of that contest, and last year's easy winner of the Christmas Hurdle - Buveur D'Air. The Berkshire venue was declared soft on both the hurdle and chase courses on Monday, but rain is forecast in the lead-up to the races on Friday and Saturday, which will surely alter the going further.